I just posted this update on my main website, www.scottbwilliams.com and I'm reposting here for Bug Out Survival readers who may not see it on that site. 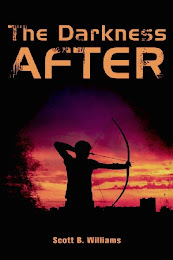 I know many of you have been waiting on this book for a long time, and I apologize for the delay in updating here, but I wanted to wait until I knew for sure when this would be available. Scott Finazzo and I have been working closely with our Ulysses Press editor to develop this project into the most useful book it could be. Changes midstream have delayed finalizing it, but now it is all done and is off to production with a new cover design to go with all the new content. 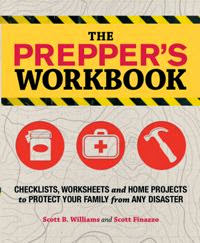 Along with the new cover shown above, the final revisions and most of the interior design work is now complete on the new and updated version of the The Prepper's Workbook, co-authored with Scott Finazzo. 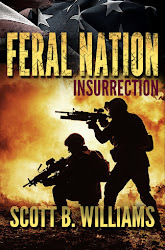 It is now in the production stage and though the new release date listed on Amazon is March 18, my editor says that it should be available to ship by mid-February. I know that a lot of readers have pre-ordered the book since it was first listed on various online sites last year, and I know it is frustrating to wait so long, but the final version of this book will be much more useful than what I had originally envisioned. 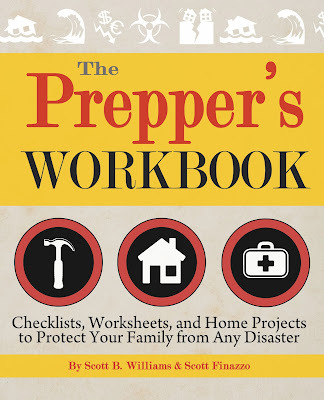 Rather than a book of mostly checklists, The Prepper's Workbook is a complete interactive planning tool to help you prepare your home and family for any disaster, whether of natural causes or manmade. You don't have to have any background in preparedness to use this book, and the focus is on the ordinary family who wants stay safe and be self-sufficient in a short or long-term disaster. In other words, you don't have to be expecting the collapse of civilization to benefit from this book. A lot of the focus is on accessing what you currently have and do not have that you might need in the aftermath of a disaster, and the worksheets and activities will help you acquire, organize and store these items. You will learn how to prepare your home for sheltering in place and how to plan an evacuation, as well as how to determine whether it is best to stay or go. 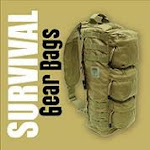 There are sections on specific types of disasters and how to plan for them, as well as sections on first aid, home and personal defense, and the most important survival skills you need to acquire and master. Along with all the information we provide in the book, there are just as many fill-in-the-blank pages and worksheets that will require you to put the "work" in the workbook. When you are finished with these tasks, you will have a unique and perfectly-tailored reference book with all your critical preparedness information compiled in one readily-accesible and handy location. This, we hope, is what will make this book so uniquely useful among a flood of books covering the topics of disaster survival and preparedness.